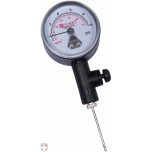 Football pressure can be checked and/or adjusted with a standalone digital or dial gauge, or a pump-and-gauge-combo. 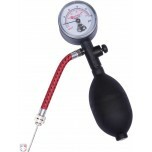 One inflating needle is included with each pump and gauge. 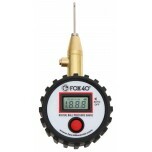 Used the digital pressure gauge for the first time this week. Both volleyballs had exactly the same pressure in them. How's that for consistency? I would prefer a metal body for durability, since it feels a bit flimsy. 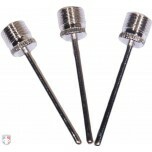 Otherwise, it's really good for balls since it's designed for low pressure and more precise than most other pressures gauges.